These are the 9x9 wired cubes with connectors to expand as needed. 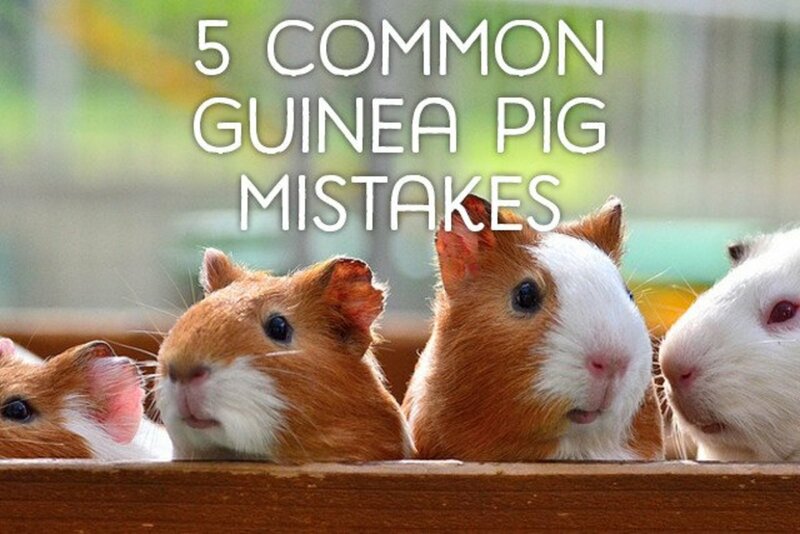 While building cages for guinea pigs or any small rodent, it is important to know what is needed. Wire cages with holes that are the wrong size can lead to a runaway pet or strangulation. The most popular cage to build yourself is a C&C cage, which is short for cubes and coroplast. Cubes are composed of panels that are about 14”x14” that you can snap together using circular multi-connectors; usually people connect the panels to form cubbies used as storage. The panels are made of a wire grid, and there are different options for how many holes there are (and therefore, how closely spaced the wires are). The option you want is the 9x9 grid, which has closely-spaced wires. 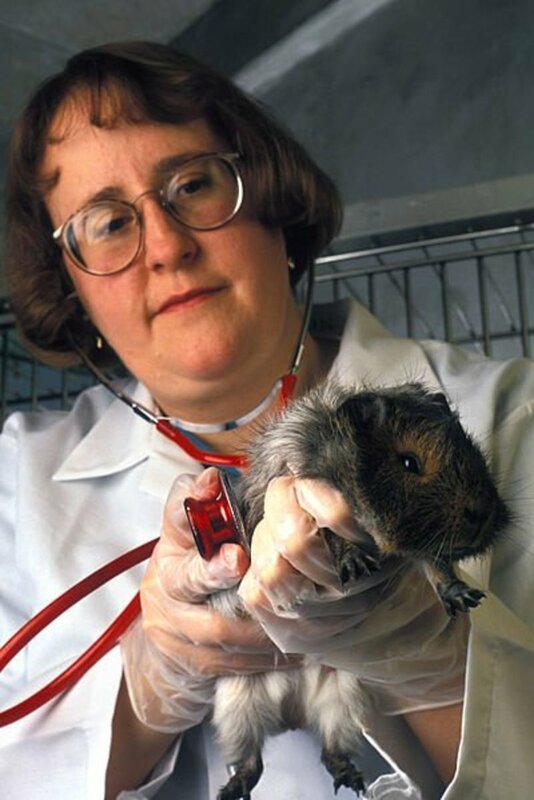 There are also 8x8 grids, which can end up strangling the pet, and 5x5 grids, which are way too big for any rodent-sized pets. Coroplast is a lightweight corrugated plastic material that is used to make signs. It is a very durable and convenient way to build the cage. Since it is plastic, it makes cleaning a lot easier, and the size can be expanded to however much you feel is needed. Most or all parts are snap-on; here, cable ties are used to strengthen the hold. From the picture above, you can see how these cubes snap together. But the connectors that come with the cubes might not be strong enough to hold it alone, so you would need to buy those cable ties or plastic ties to provide more strength and support. 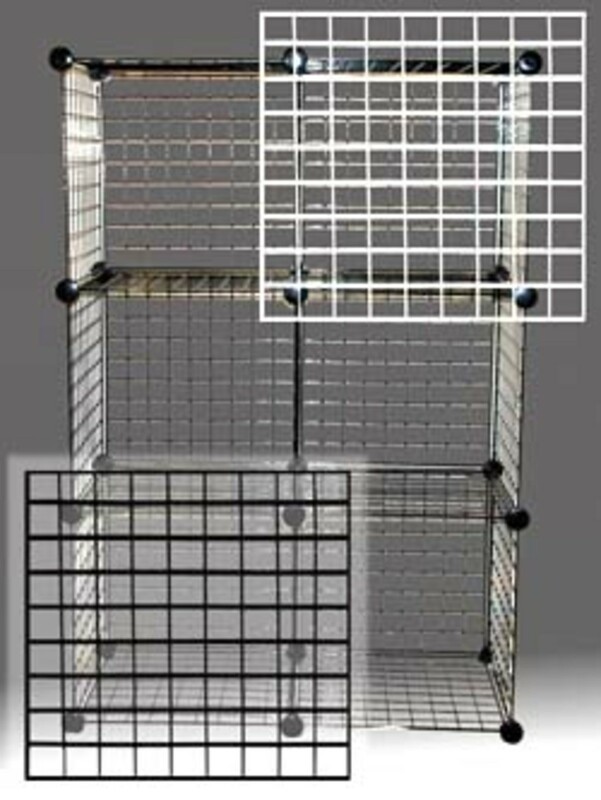 Most cages that you see do not have a bottom, and this is a problem if you have it set on a table, because the weight distribution will not work correctly. In order to build it correctly, there should be a bottom part. In the picture above you see there's a top and bottom on the cage to provide more stability. Much of it will involve a lot of thinking on how to get it just right. One thing to think about is how you might expand for more room if needed. During any expansion of the cage, the ties would need to be removed and the bottom of the cage readjusted to accommodate the new weight added on top. Making Me Taller or Wider? A cage can have multiple levels, but it is just a matter of stacking the cubes, as shown above. 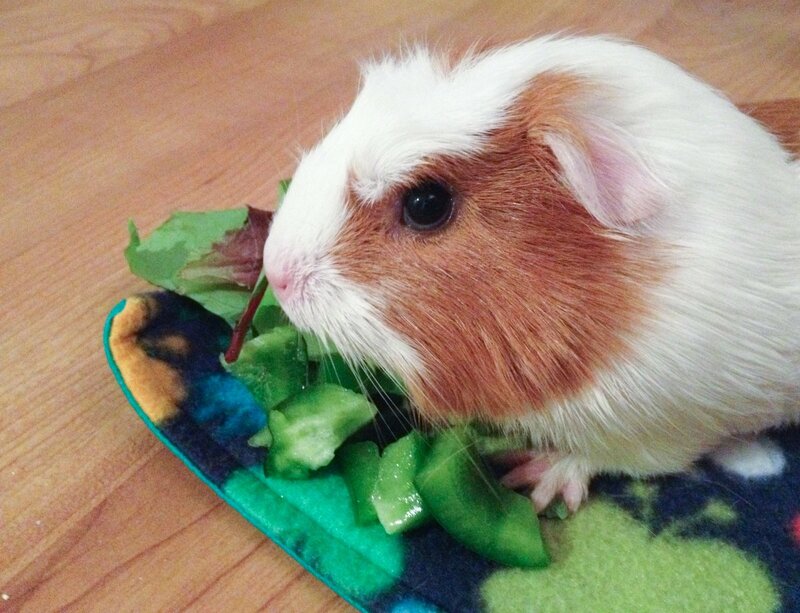 This will mean a little bit more cleaning but it’s not a whole lot if the guinea pigs are trained to do their business in certain areas. 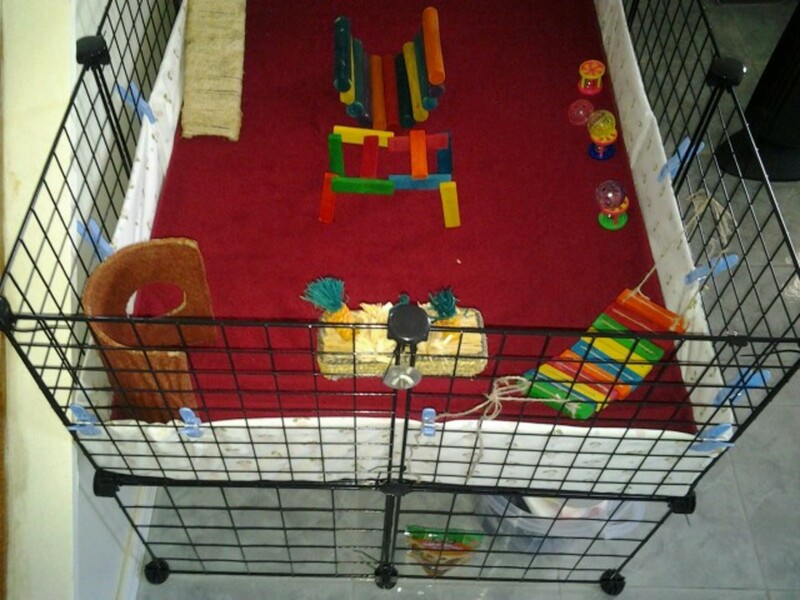 The picture above shows the cage we have at home. 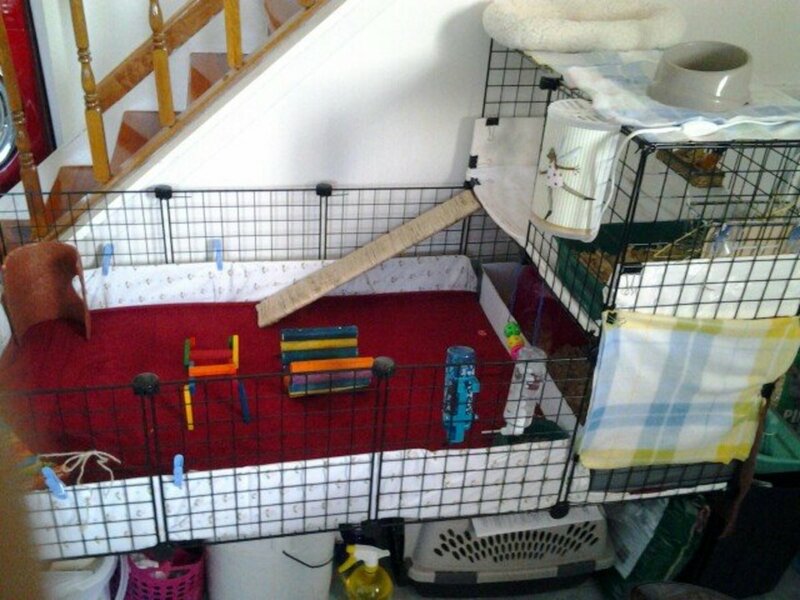 The ramp on the left-hand side was built for the guinea pigs to run up the second level and has the additional benefit or providing exercise. 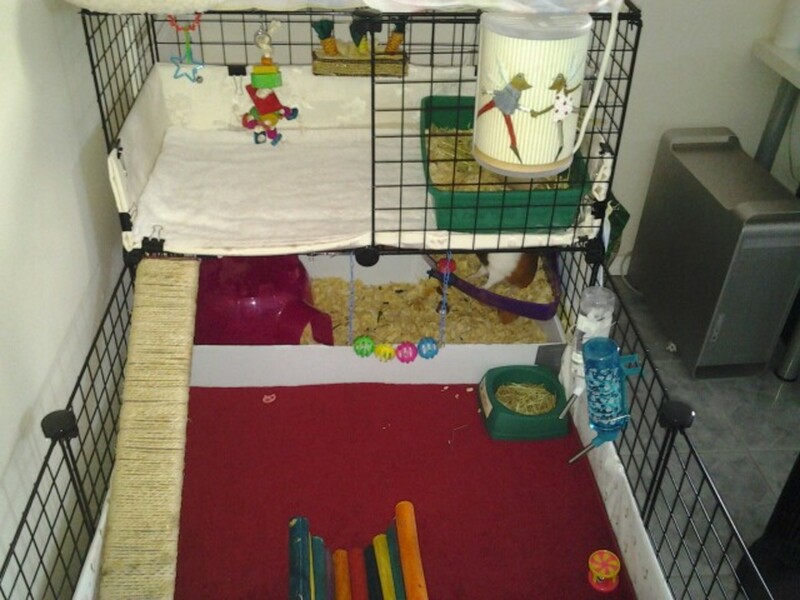 It was also strategically placed for the guinea pigs to have enough room at the lower level for them to “popcorn” when they need to. This cage is technically a cube-and-cardboard cage because we built it before we were able to buy the coroplast and have decided to forego replacing the cardboard because it would be more work now. Coroplast are not readily available in our area, hence we settled with a regular cardboard box that are placed one on top of the other to form a big rectangular container for the cage. We did use coroplast for the "bathroom," where the pine chips are, but the rest of the sides and bottom is the cardboard box covered in sheets. 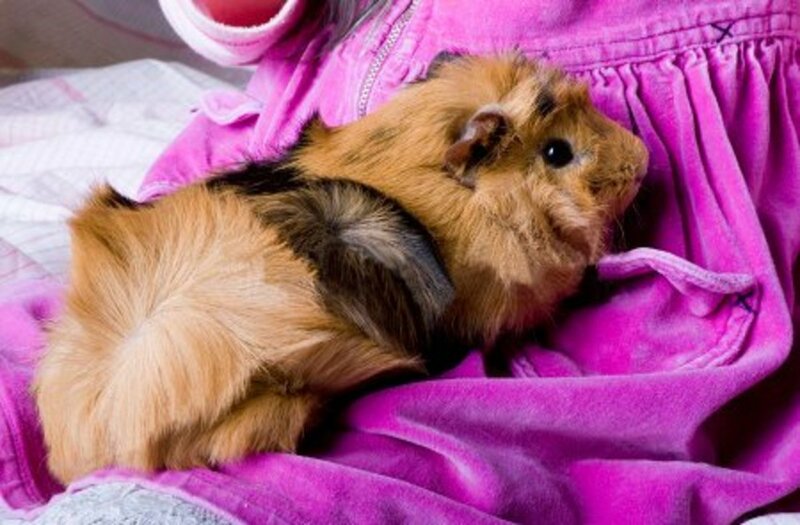 You don’t actually need the sides on the cage if your guinea pigs are not that messy (ours aren't), but the sides will look nice on the cage regardless and provide a layer of safety by preventing the cavies from trying to squeeze through the cage to get out and possibly strangling themselves. Coroplast are not easy to purchase. Some places like Home Depot or Lowe’s might carry them but in small sizes. These types of corrugated plastics are usually sold in stores that make signs; you can also find them online. 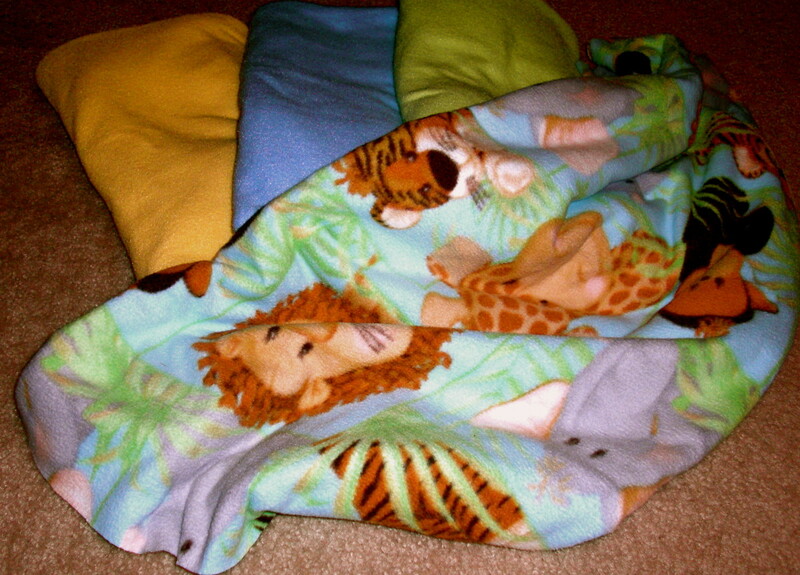 The flooring is usually bedding material, but there are a lot of people who use fleece instead of bedding because it is easier to clean. But in the picture we tried to use a towel instead of fleece because we are using bedding and feeding them hay, both of which can get stuck on the fleece, becoming near impossible to take out at times (also, towels are somewhat cheaper than fleece). The cage will take some time to make because the snap-on pieces will need some strength to set them properly so it will not pop back out. You will also need to make sure that everything is aligned correctly and use the cable ties to tie all the connecting parts together to make it real solid. Tying it together will make it a whole lot steadier and is very noticeable if you need to move the cage around, otherwise it will wiggle and a lot of tension will be placed on the connectors. Be wary when you purchase a C&C cage at any online stores or auctions. Some of the cage sold comes with a coroplast that is the base while the 14”x14” Vinyl Covered Wire Mini Grid Panels acts as a fence. These cages do not come with a bottom, meaning that if you remove the coroplast, the bottom is the floor or whatever it is the your cage is sitting on. This will create a problem because if the cage is pushed or a side hangs off the platform that it is on, result would be the entire cage coming down onto the ground, unless it is already on the ground. 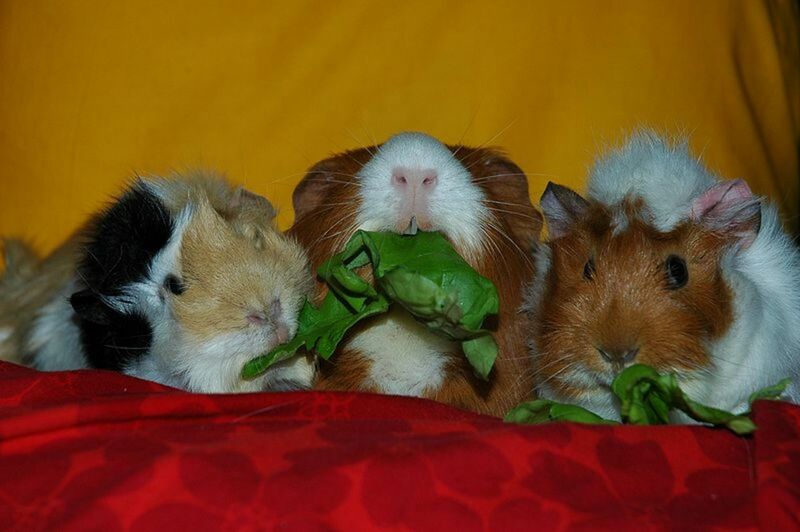 I have 1 guinea pig and am trying to expand her cage. The app not problem is I have dogs and a limited space, so I can't put a c&c cage on the floor. If I have a say 1 1/2 foot by 3 feet table can I put a 2 foot by 4 foot c&c cage on it? Hey pet whisper your work is idnbecirle keep it coming! I'm in awe at how you pose all these animals for the portraits! You have such a gift, don't ever take it for granted. @falconmlb the ram is a cat scratching post. we have ones that we made with sticks tied together with a thin rope. Another which is a grill with sandpaper for grip and to help file their nails. How did you build the ramp? @jennzie Initially we had a smaller cage too, but when we were cleaning our room, we remember have these snap together cube things. And that was when we decided to look online to see if anyone else was doing this and to our surprise there were many using it so we decided to try it out :) Thanks for the comment and vote !!! Wow that is an awesome cage! 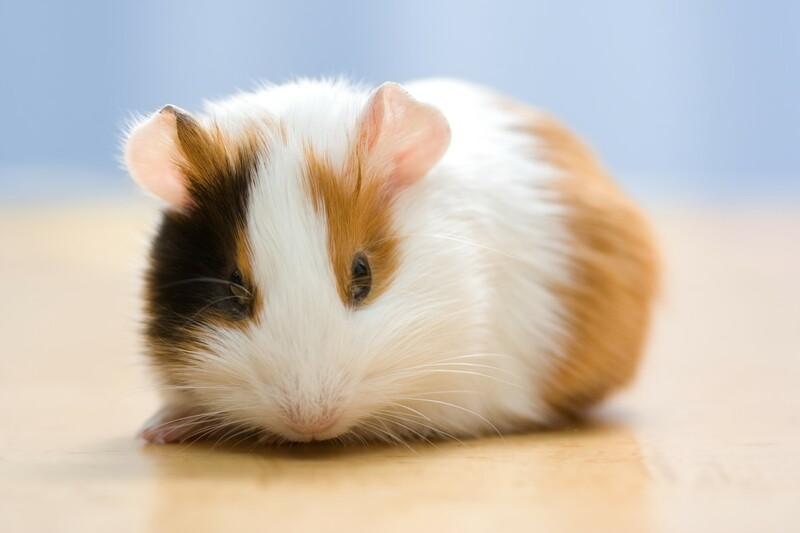 My guinea pig has a much smaller cage that cost me over 50 bucks! Great hub- voted up. 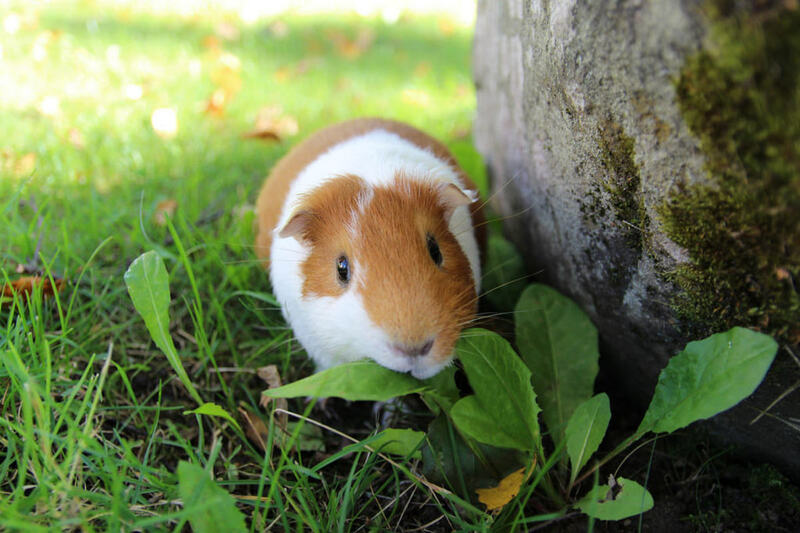 "Bijou des-res to let, must have soft fur to qualify for rent contract - suit sociable rodents. 1,000 Hazelnuts per month rent; central heating & entertainment inclusive. No commercial callers, phone..."
Makes you almost wish you were a hat-box dweller. Remember "Honey I Shrunk the Kids"? Change that to "Honey I Shrunk the Kids & Gave them Gnawing Teeth". Keep it up, snoblet, you're going in the right direction - just watch the grammar.